Screenshots uploaded to VNDB must confirm to some strict guidelines. In particular, they should not have any window borders and must be in the correct resolution (precise to the pixel!). Uploading screenshots that do not confirm to these rules will likely result in them getting deleted shortly afterwards. 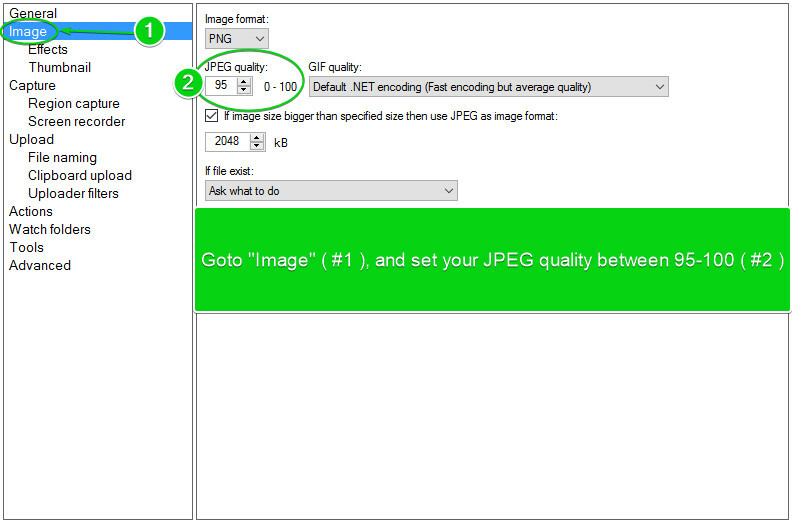 This page is a tutorial on how to correctly capture screenshots using various tools. Download and install Irfanview from irfanview.com. Installation should be fairly straight-forward. Start Irfanview, you should get a window like this. 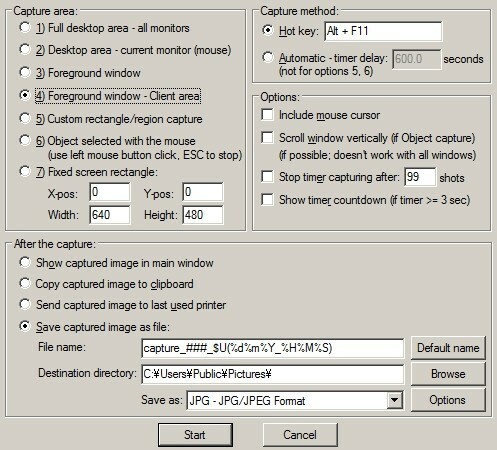 Hit the C key or go Options -> Capture/Screenshot to open the capture setup window. 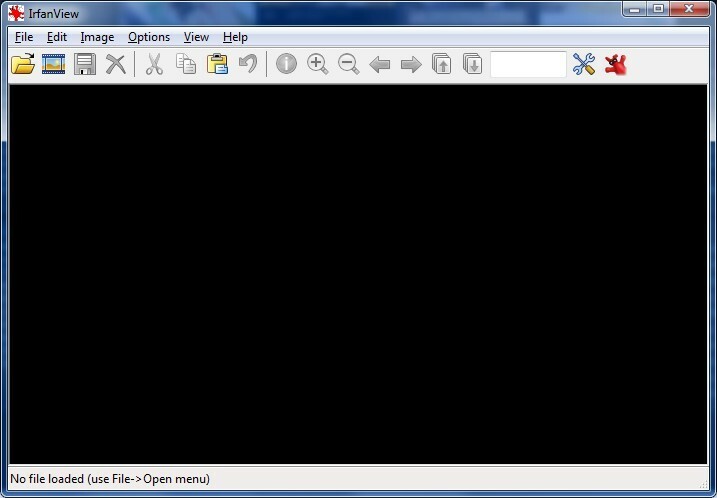 Check the "Foreground window - client area" selection box. This option makes sure that you won't see any window borders and that the screenshot is already correctly cropped. Set a hot key. Irfanview uses Ctrl+F11 by default, but since the Ctrl is usually assigned to skipping in most games, you will probably want to change it. To do so, left-click on the key area and press the desired key combination. Alt+F11 should do the trick. 6. 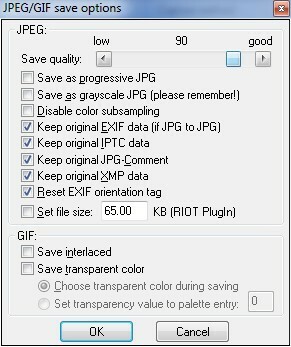 Check the "Save captured image as file", choose a destination folder and select JPG in the "Save as" options. Set the quality somewhere between 95 and 100. 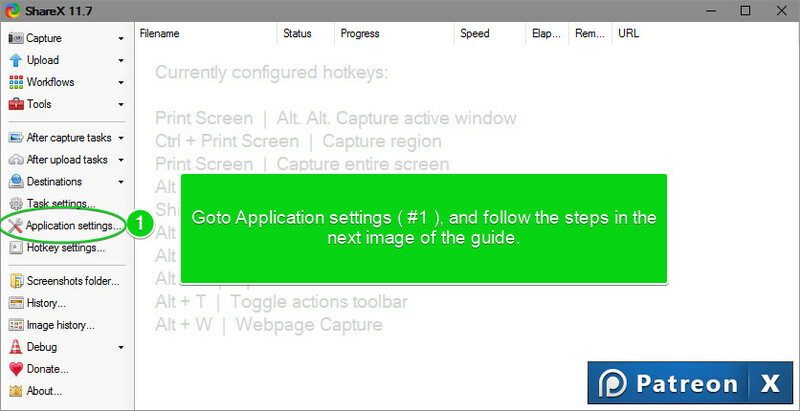 Press "OK", and then press "Start" to close the capture setup window. Now go to the visual novel you want to capture and press the configured hot key at the desired moment. Irfanview will automatically capture and save the screenshot in the chosen directory. These screenshots are suitable for uploading to VNDB without further modifications. 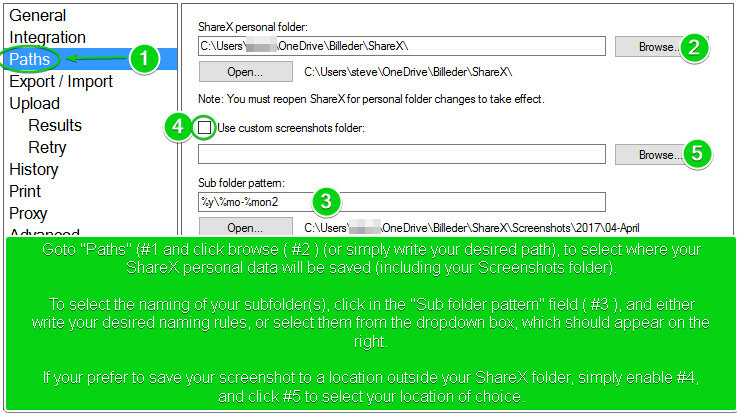 Download and install ShareX from getsharex.com. 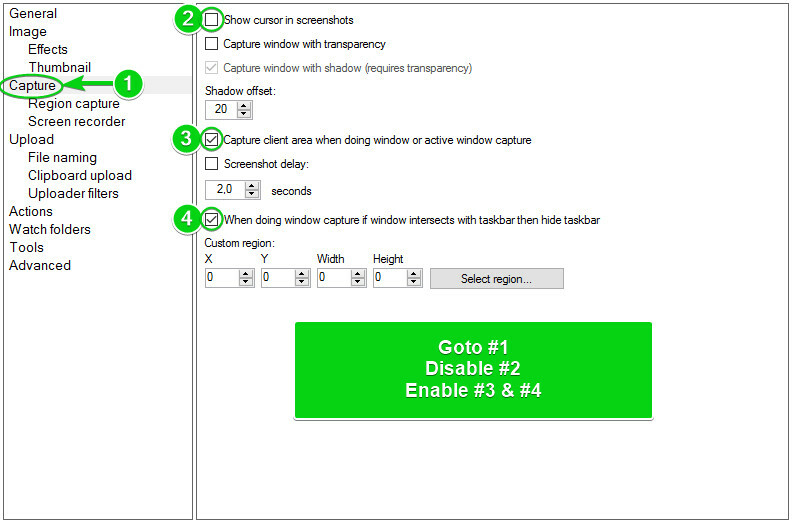 Start ShareX, you should then get a window like this. Go to Task settings and adjust your capture settings and image settings. 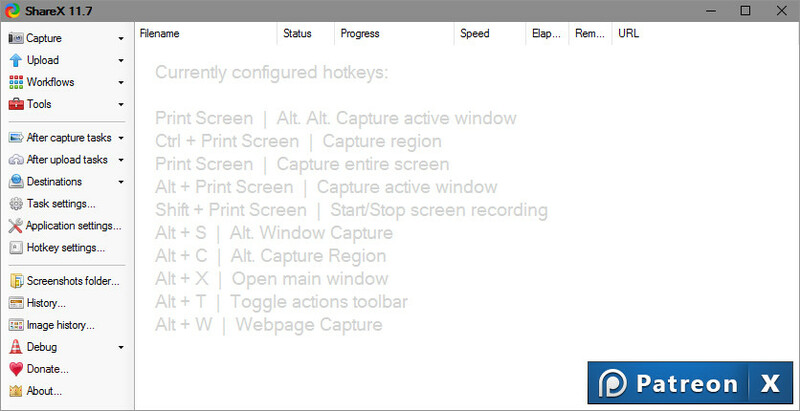 You can set a custom hotkey for window capture: Go to Hotkey settings and change the default hotkey for window capture. 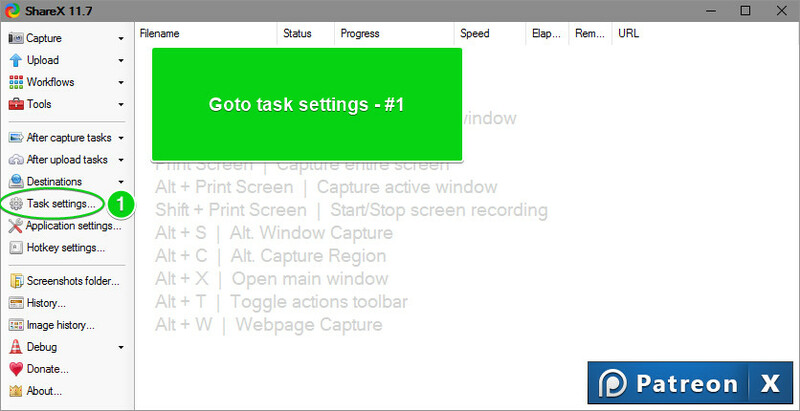 Change the After capture tasks according to your preferences. (Tip) If you want to change the directory where screenshots will be saved, go to Application settings and follow these steps. 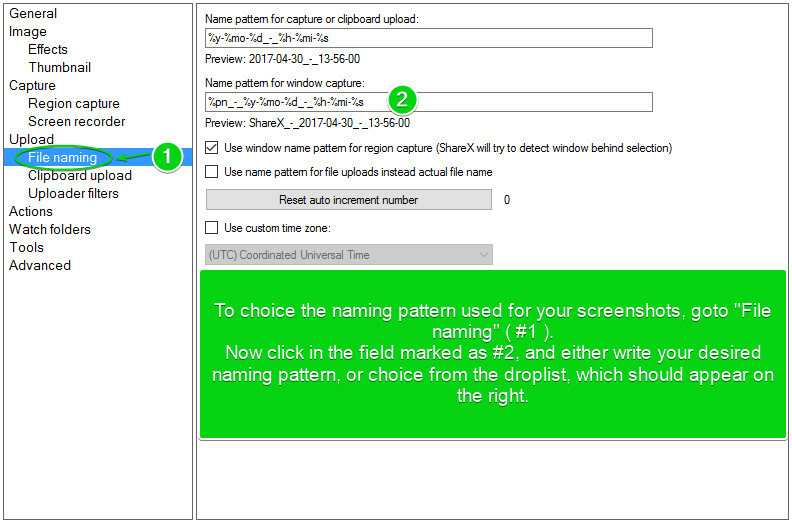 (Tip) You can change the naming pattern of the saved screenshots by going to the Task settings and following these steps. Now go to the visual novel you want to capture and press the configured hot key at the desired moment. The saved screenshots can be uploaded to VNDB without further modifications.